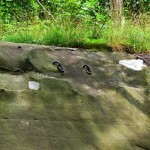 Want to add extreme sports to your natural adventure at Shawnee Forest? 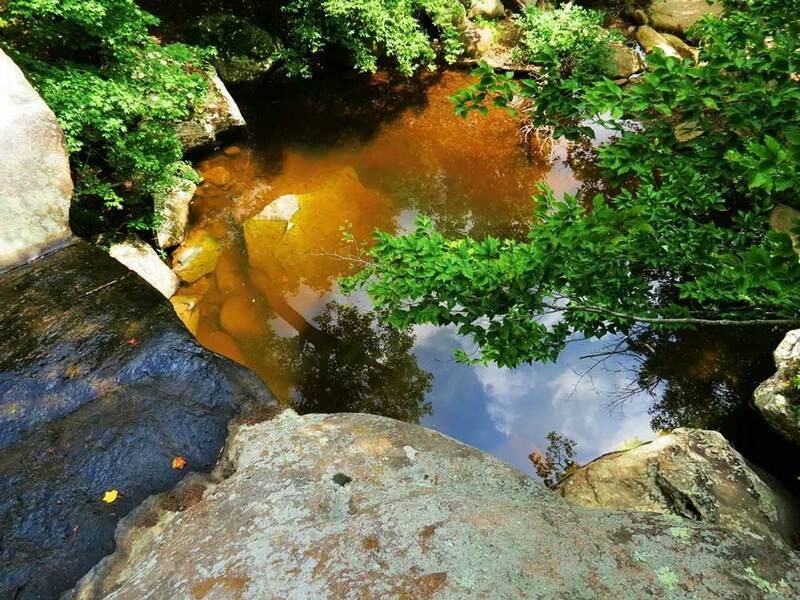 Hike the trails at Jackson Falls Recreation Area and go rappelling, rock climbing, or bouldering at an array of over 60 distinct climbing areas all while experiencing some of the most beautiful sites Shawnee National Forest has to offer. Hike in from the trail head and follow the creek bed to the top of the falls, then around the “dog leg,” and arrive at the bottom of the falls for a magnificent view of the waterfall’s vertical bluffs. 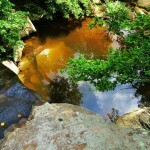 To kick your hiking adventure up a notch, tie up at the top of Jackson Falls and rappel in! 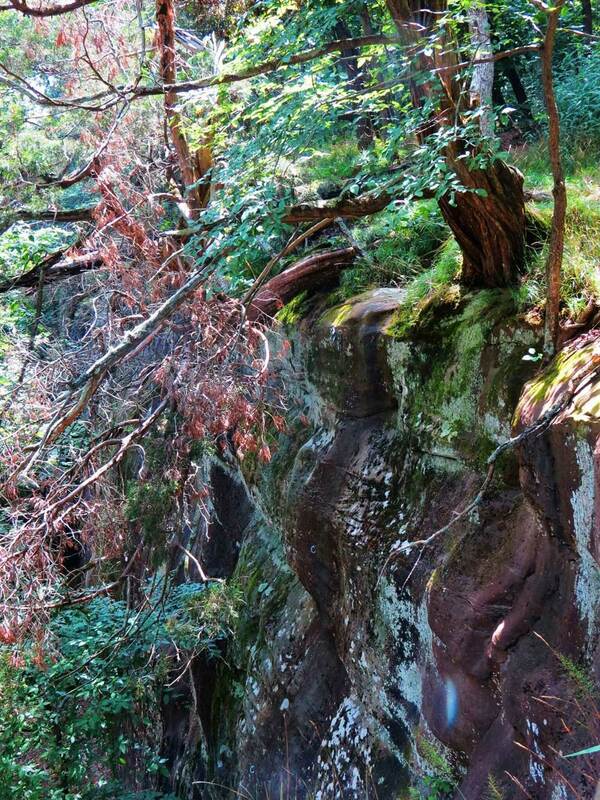 Please avoid disturbing the fragile plant life on the rock walls to preserve the natural ecosystem of the falls. Take time to stop and enjoy the beauty that Jackson Falls has to offer. 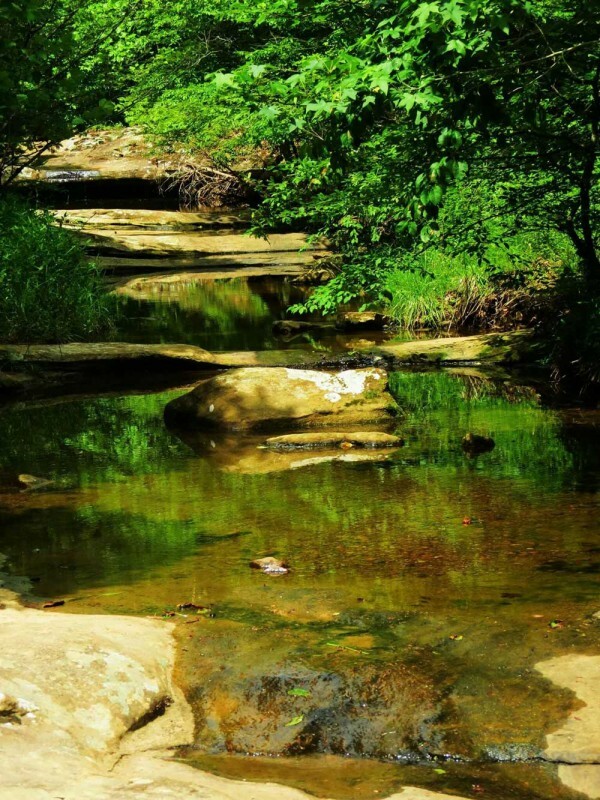 See beautiful smooth stones eroded by water and take in the wonderful wildlife that populates the area. 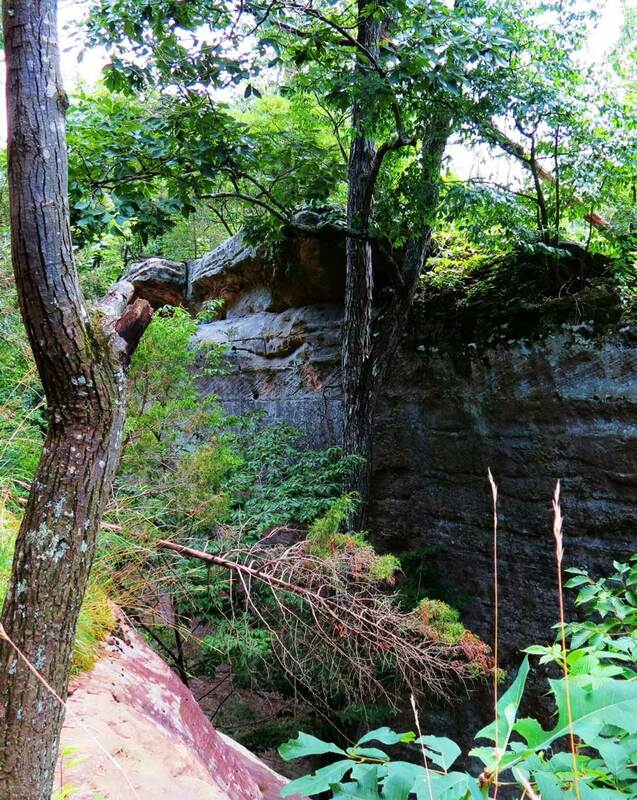 Jackson Falls’ sandstone bluffs and free standing boulders create over 250 different climbing routes, the largest number of climbing routes in a single area in Illinois. 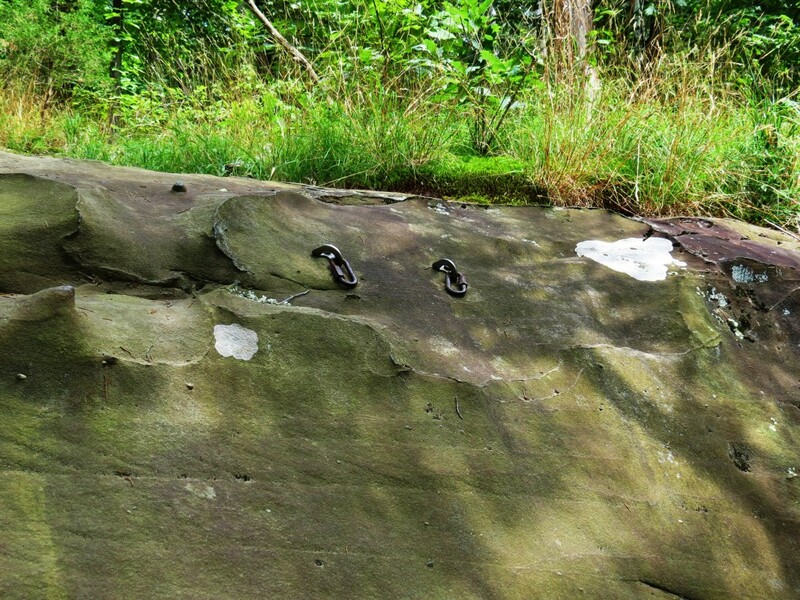 The sandstone provides excellent friction along these routes; however, use caution in wet weather as rock surfaces may become slippery. 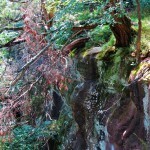 Most of these routes are sport climbing routes and permanent anchors dot the edges of the falls. Do some traditional climbing or enjoy a few ascents that are suitable for setting up a top rope in the natural beauty of this scenic glen. Climbing is never dull at Jackson Falls with walls that offer slopers, diverse sized pockets, roofs, and slabs. Eric Ulner shares a more detailed description of many of these routes in his guidebook, Vertical Heartland. Big Wall Greg’s Chicken Shack route is a 5.6 and one of the least strenuous climbs available at Jackson Falls. Most climbing routes ascend 30 to 70 foot walls, and few are graded less than 5.10. For more experienced climbers, be sure to visit the Zen Arcade or Pulse routes both graded 5.13b to put your skill to the test. Easier routes with grades between 5.6 and 5.9 are in high demand on the weekends. 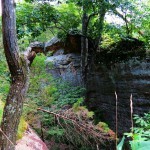 Ulner recommends many other four and five star climbs at Jackson Falls in Southern IL. 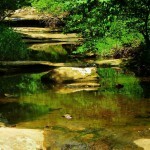 To take advantage of some of the best climbing and hiking in Southern Illinois, take IL-145. Turn West toward Bell Smith Springs Road. Pass through McCormick and Zion Hill Church. Then, turn left (South) onto forest road 494. Take caution as road is rough before reaching your destination. Park at the Jackson Falls trail head to begin your adventure. Camping in this area is permitted and restrooms are available at the trail head.